Below you fill find all funeral homes and cemeteries in or near Bryan. Suburbs of Bryan: Benchley, Edge, Law, Reliance, Steep Hollow, Tabor. 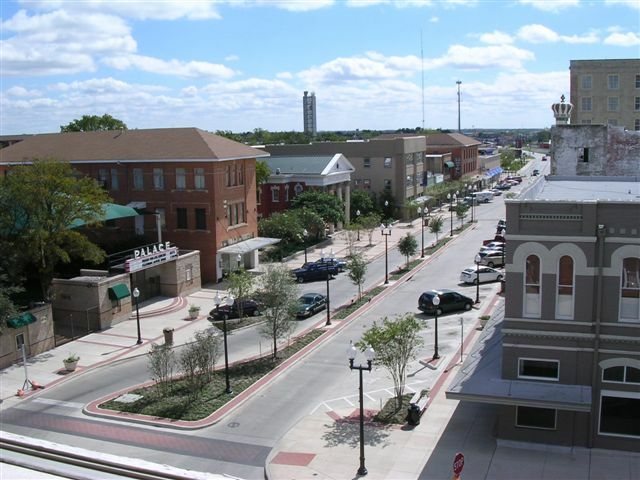 Bryan is also known as: Brazos County / Bryan city. Their current mayor is Mayor Kean Register. Zip codes in the city: 77801, 77802, 77803, 77805, 77806, 77807, 77808. Brazos County funeral flowers can be purchased from one of the local funeral shops we partner with. Some of the notable people born here have been: Jack Kingston (politician and insurance agent), Gerald Carter (american football player), Cody Risien (american football player), Shane Graham (actor), Syndric Steptoe (american football player), Devin Lemons (american football player), and Odie Harris (american football player). It was written on January 17th, 2019 that James Franklin Kinney passed away in Bryan, Texas. Kinney was 90 years old and was born in Scranton, AR. Send flowers to express your sorrow and honor James Franklin's life. It was disclosed by Waterloo/Cedar Falls Courier on January 13th, 2019 that Barbara Heisinger (Bretz) passed away in Cedar Falls, Iowa. Ms. Heisinger was 78 years old and was born in Bryan, TX. Send flowers to express your sorrow and honor Barbara's life. It was written by The Lufkin Daily News on December 7th, 2018 that Glenn Attebery perished in Bryan, Texas. Attebery was 90 years old. Send flowers to share your condolences and honor Glenn's life. It was reported by Quincy Herald-Whig on November 6th, 2018 that Brandon Scott Stone passed away in Quincy, Illinois. Stone was 32 years old and was born in Bryan, TX. Send flowers to express your sympathy and honor Brandon Scott's life. It was disclosed by Graham Leader on July 27th, 2018 that Ardis Gertrude (Bobo) passed on in Bryan, Texas. Ms. Gertrude was 94 years old. Send flowers to share your condolences and honor Ardis's life. It was reported on May 30th, 2018 that Joshua Gray Ferrier perished in Bryan, Texas. Ferrier was 27 years old. Send flowers to express your sorrow and honor Joshua Gray's life. It was disclosed on May 17th, 2018 that James B Dr Beard perished in Bryan, Texas. Beard was 82 years old and was born in Piqua, OH. Send flowers to express your sympathy and honor James B Dr's life. It was noted by Texarkana Gazette on October 4th, 2017 that David Franklin Baker died in Bryan, Texas. Baker was 47 years old. Send flowers to express your sympathy and honor David Franklin's life. It was noted by Tri-City Herald on September 13th, 2017 that Otillia Ramirez Ham passed away in Kennewick, Washington. Ham was 73 years old and was born in Bryan, TX. Send flowers to express your sympathy and honor Otillia Ramirez's life. It was revealed by Monterey Herald on September 10th, 2017 that Robert William Bruce perished in Monterey, California. Bruce was 94 years old and was born in Bryan, TX. Send flowers to express your sorrow and honor Robert William's life. Bryan is a city in Brazos County, Texas County, Texas, United States. 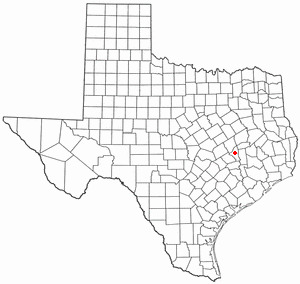 It is the county seat of Brazos County, Texas County and is located in the heart of the Brazos Valley (Southeast Central Texas), an area often referred to as "Aggieland". As of the 2000 census, the city had a total population of 65,660. . . The official website for the city of Bryan is https://www.bryantx.gov/. Notre Dame football coach Brian Kelly and two busloads of college students attended the funeral at St. Mary Church in Buffalo ... moved up four spots to tie for 19th with Midwestern State (Texas) in the latest AFCA Division II Coaches' Top 25 poll. So when he awoke as a free man for the first time in 18 years on Thursday, he wasn't entirely sure whether he'd escaped the "hell" of Texas death row ... the newspaper in Bryan-College Station, that he disagreed with Graves' release. Notre Dame football coach Brian Kelly and several players were among the mourners at the funeral of a student killed when a tower ... Ace pitcher Cliff Lee also joins the group after he and the Texas Rangers lost to San Francisco in five games. Mr. Brian Walker Miceli, 53, of Frederick ... Delaware, New York, Maryland, Texas and New Jersey. The family will receive friends from 1 to 3 p.m. Sunday, Oct. 31, at Keeney and Basford, P.A., Funeral Home, 106 E. Church St., Frederick. Listing all funeral homes in Bryan, Texas so you can easily send flowers to any location (same day delivery) or find any funeral service. Funerals in Bryan, TX on Yahoo! Local Get Ratings & Reviews on Funerals with Photos, Maps, Driving Directions and more. Find BBB Accredited Funeral Directors near Bryan, TX - your guide to trusted Bryan, TX Funeral Directors, recommended and BBB Accredited businesses. We work with local florists and flower shops to offer same day delivery. You will find budget sympathy flowers in Bryan here. Our funeral flowers are cheap in price but not in value.